This reader did not do the book justice. Boring and lifeless. Not what you want at all in an Audubon book! The story is a classic but the narration is anything but. The monotone delivery put me to sleep. The narration is so dry!! Might be a good book. Horrible narration!!! 5 of us and nobody could handle the narrator! try and different version. I love the book but I couldn't listen to this narrator. I had to stop after an hour of listening. just terrible very sad. The story is classic and great as always but the reader makes sudden pauses in midsentence. I had to read this book for a class, and I figured I'd splurge and buy the audio book since it was so cheap. 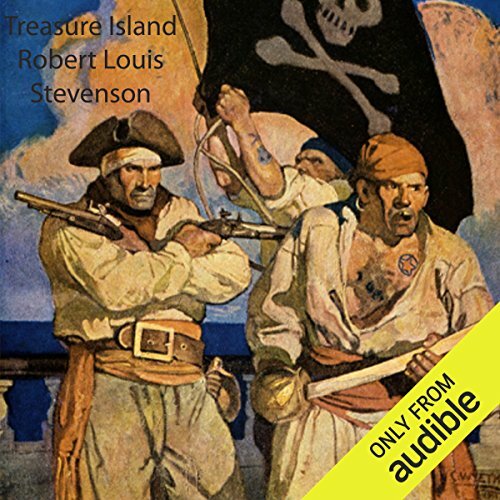 While this version gets the job done, it has to be listened to sped up because of the slowness and monotone of the narrator. He was also inconsistent in his reading speed. He does do really great pirate voices though, so that's a plus. This was an enjoyable telling of this classic. I most enjoyed the reader's ability to change his voice and inflection when representing the different characters. Well I just don't enjoy the story or the narration very much and would say that it's most likely suited for a 12 yr old from the 50's to try enjoy. I could be wrong perhaps adults would still enjoy if they came from a simpler time. Great narration! And is such a Great classic!!! I highly recommended this book!! I did really enjoy it!! !